The history of the Waterford Dungarvan Railway goes back to the 19th century. The railway Line from Dungarvan to Waterford was constructed during the 1870’s and was officially opened on the 12th August 1878 with the first train departing Waterford at 10.10 and arriving at Durrow just over an hour later. Before the 1870’s it was a very unusual fact that Waterford did not have a railway yet a line existed from Lismore to Fermoy. The Waterford news uttered “is it not rank folly that the county of Waterford could any longer remain without a railway”? 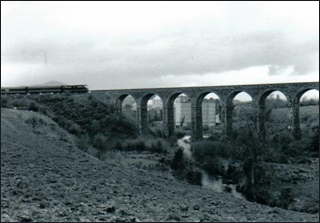 The building of the Railway was a remarkable project in that it had to be contructed over very harsh terrain. From the Dungarvan side, two causeways had to be contructed, one over the Colligan estuary and one through the sea at Barnawee, a very impressive viaduct has to be built at Ballyvoile and an even more impressive tunnel, 480 yards long, fully lined was constructed just a little further down the line. Another viaduct at Kilminnion and an almost 100 feet high curved viaduct at Kilmacthomas to name just a few. It headed down towards the lovely station at Kilmeaden and then on the riverbank of the River Suir below Mount Congreve into Waterford City. It became a major part of the History of Waterford during the War of Independence and Civil War. It was used in guerrilla warfare against the occupying forces and there was many an attack on occupying forces travelling by train to conduct the business as they saw it of our country. The running of the country by the British had to be disrupted and the attacks on many trains during this period was a microcosm of the situation nationally. Disruption of British rule was of paramount importance. 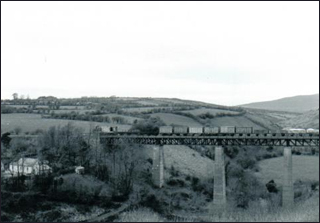 The Railway also featured in the Civil War with the Railway Bridge in Ballyvoile being blown up on the 8th of August 1922 but the railway was seen as so important, a new bridge was constructed over the following year. The Railway line was not just of national importance, it was also our line with the UK with many Irish people emigrating there but many used it to come over and back. 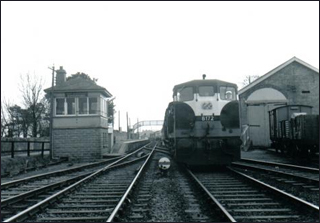 In March 1967, the last passenger train left Dungarvan station for Rosslare. But it reopened again with the opening of the Magnesite ore processing plant at Ballinacourty but this plant closed in 1982. Engineers ran occasional locomotives on the line up until 1990. CIE own the line but Waterford County Council acquired a licence from them at the start of this century to make it into a pedestrian walkway/cycle path for tourism and leisure. It has impressive history, a history we can not neglect by not taking an interest in the line, we need to preserve it for the people as an amenity for the people. The Waterford Greenway was officially opened on the 25th of March 2017. 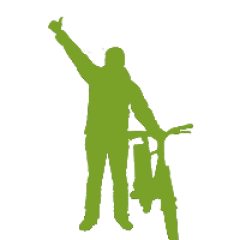 Greenway history tours are provided by The Greenway Man on a weekly basis through the summer. Acknowledgement: These four photos were reproduced from the Waterford & Suir Valley Railway website. I would like to say a very big thanks from all of us in the WWETB Adult Education Centre. We all were super impressed with the fantastic Walking Historical Tour you provided not only did we leave informed but also very refreshed from the beautiful scenery and weather!